Nan Dixon » What’s Your Perfect Date? In Decem ber I was honored to be the named the LaVyrle Spencer Mentor of the Year Award. 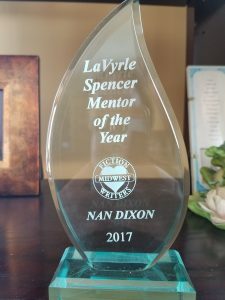 And somehow one of the local papers decided to interview the award winners from Midwest Fiction Writers. Here’s the article! What’s your favorite fantasy date?